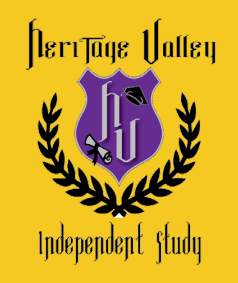 Heritage Valley Independent Studies program is a K-12 independent studies program that serves the needs of students in the Fillmore Unified School District. The primary focus of Heritage Valley Independent Studies is to provide an educational opportunity for students who can benefit from individualized instruction. Each student must demonstrate the ability to work independently. Heritage Valley provides an alternative learning environment for students that have various needs that may include, but are not limited to medical, financial, employment, health and safety, parental request, and/ or school administration recommendation. Our school is committed to help strengthen the community by promoting educational experiences that assist students in the realization of their personal goals, offer academic programs that challenge students to become successful in our society and offer our high school students vocational pathways for positive entry into career and occupational fields. The staff of Heritage Valley takes pride in the school and the students. Our staff provides opportunities for students to progress in their studies and for high school students, earn credits toward graduation. Our Heritage Valley Independent Studies staff is excited about the commitment we give to each of our students.